personalisation personalisation (required)Customer has checked details and no accents or symbols have been included. personalisation (required)Customer has checked details and no accents or symbols have been included. personalisation (required)Customer has checked details and no accents or symbols have been included. personalisation (required)Customer has checked details and no accents or symbols have been included. 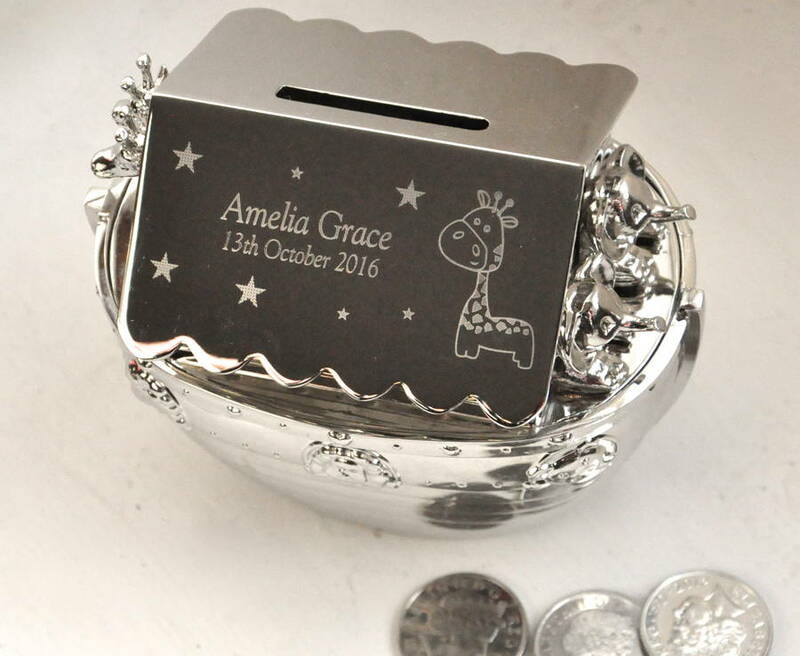 This personalised money box is silver finished. 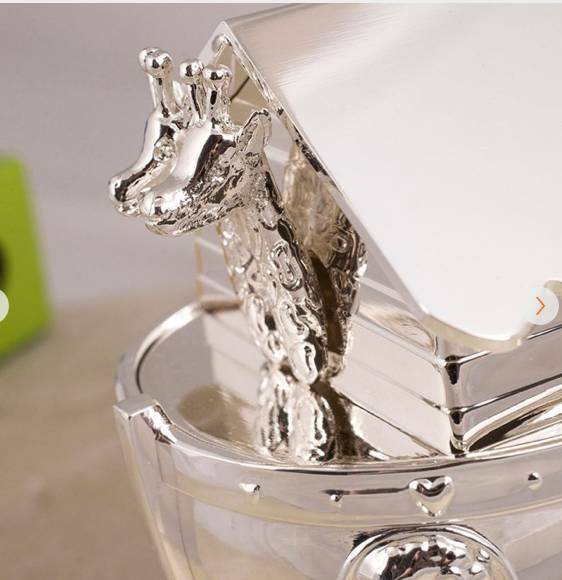 A miniature Ark complete with 3D animals , it can be proudly displayed in any nursery. It's never too early to start learning about the value of saving their pennies. 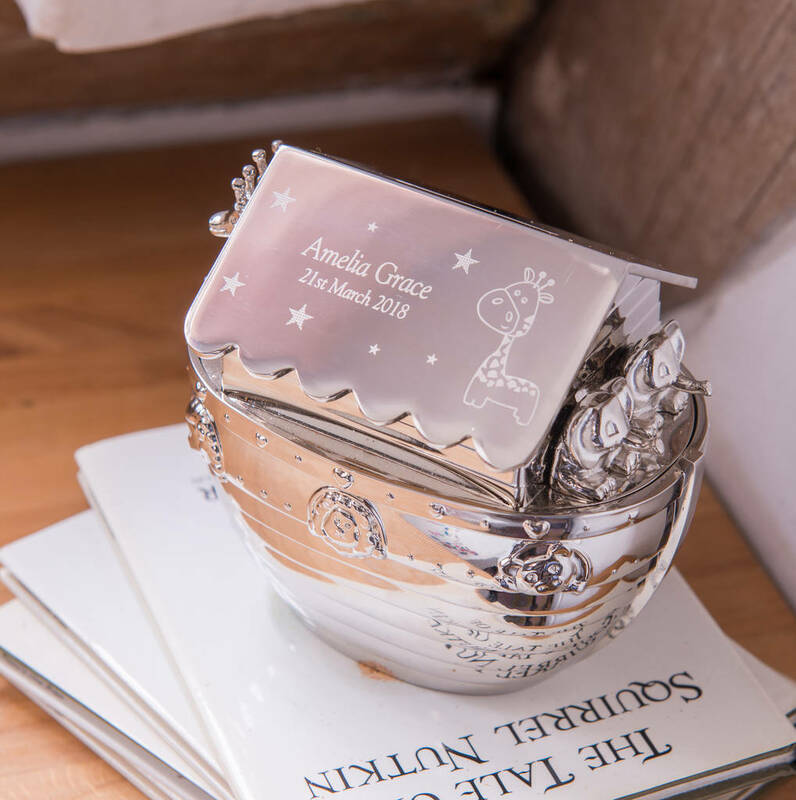 With space for a personalised engraving, why not add a Name and date to make this gift that little bit more special, and show the recipient how much thought and care you've put towards their gift. it's sure to be treasured for years to come. Please DO NOT add any accents over letters in your personalisation as this will mean your order will be incorrect.